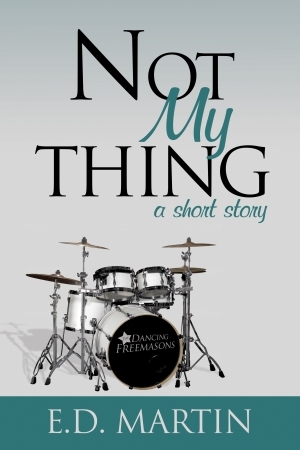 This week continues with the story from last week, “Not My Thing,” which will be released as a free short ebook by Evolved Publishing in early April. For the last few scenes, Jeff’s been awkwardly chatting with that woman. Last week, he asked her if she wanted to grab a bite to eat. They end up at a Denny’s by an airport, where Jeff orders a greasy breakfast plate, and Lisa goes for pancakes. You’ve captured the scene so well. He’s a purist about the music. Love this eight. He’s not the typical swaggering rock star who screams incomprehensible lyrics and expects instant gratification. I like your hero. I like that he’s about the music and I wonder if her questions will help him reconnect with his Muse. 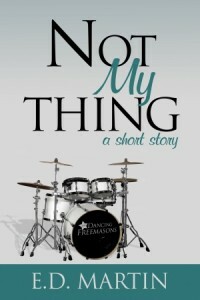 Enjoyed the snippet, makes me want second breakfast! Denny’s is the perfect setting for this conversation — a place that just about everyone can relate to. I can envision him gobbling down (“tears into”) his food while she watches, amazed at how he shovels it in! Terrific scene. All booze and no food? No wonder musicians have so many drunken brawls!